An IFAK is an Individual First Aid Kit. 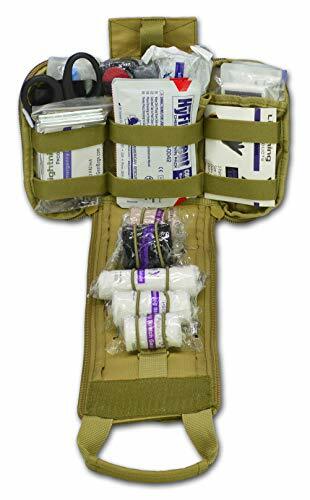 An Individual First Aid Kit is intended to be used by an individual for self-aid or to render aid to a buddy (such as for TCCC – Tactical Combat Casualty Care), as opposed to a more full featured medical kit that might be carried by a combat medic. Gauze of some type – including special “quick clotting” combat gauze. IFAKs are really military first aid kits. In the US Army, IFAK stands for Improved First Aid Kit. This refers to a very specific issued item, but the purpose is the same. 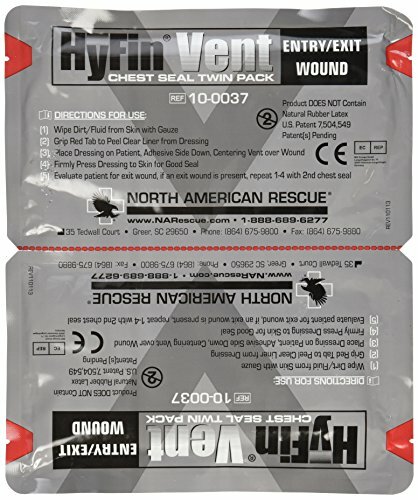 The US Air Force and Marine Corp refer to IFAK as Individual First Aid Kit. You will also hear of something called a Trauma Kit. A trauma kit is a medical kit intended to be used for emergency, immediate response to major injuries – such as gunshot wounds or serious industrial accidents. Tourniquets – A tourniquet is used for stopping the flow of blood through a vein or artery, by compressing the limb with a tightly fit cord or bandage. This is used to stop traumatic bleeding until such time that the victim can be relocated for medical assistance. Please note that for larger limbed individuals (especially around the thigh) two tourniquets may be needed. It’s also not a bad idea to have one as a backup to the first. Chest Seals – A chest seal is used to stop a sucking chest wound. This is a puncture or gunshot injury such that air is escaping from the lungs via the wound – this is obviously a serious, life threatening injury as it prevents proper breathing. A vented chest seal is considered the best option. Look for a kit with 2 chest seals, so an entry and exit wound could be treated. Combat Gauze – Combat Gauze is not regular gauze. It is a soft, white, sterile, non-woven gauze impregnated with kaolin (a mineral). Kaolin accelerates the body’s natural clotting ability. It is used as a hemostatic agent and through compression can stop bleeding fast. Look for the QuickClot brand, which is combat proven and the type used by all 5 branches of the US military. Pressure Dressings – A pressure dressing is a non-adherent bandage that is used to apply pressure to stop bleeding. The most popular model is the so-called Israeli bandage. They include a pressure bar that is an essential part of it’s operation. EMT Shears – Shears for rapidly removing clothing and equipment to allow for medical attention. Nitrile Gloves – Medical grade synthetic rubber gloves – that allow for a fine tactile touch. A trauma kit may even contain a full rescue litter – which you would use to transport a severely injured person. Sometimes an IFAK can also contain an NPA – Nasopharyngeal Airway (NPA). An NPA is a tube that is designed to be inserted into the nasal passageway to secure an open airway. Lastly, some refer to an IFAK as a BOK – Blow Out Kit. Different name, but same principle – have medical supplies on hand to be able to treat major trauma, quickly. There are many people who put their lives on the line as part of their profession or job. They understand the value of having a complete IFAK or Trauma Kit within easy reach at all times. But, these kits are also valuable for every day life. Given active shooters, terrorism, and other scenarios that have become a fact of modern life we think it’s best to be prepared for the worst. A “GSW” (Gun Shot Wound) situation may be more likely than you think. Better to have it and not need it, then not have it when you do need it. NOTE: We fully believe you should be TRAINED in the use of your trauma kit. You shouldn’t be reading the directions for applying a tourniquet at the time it’s needed. Get the kit, and get the training. Who needs a trauma kit within easy reach? Anyone who works with firearms – whether at the shooting range, hunting, or elsewhere. We’ll look at some full kits and kit items here. The Lightning X Products Premium Nylon MOLLE Emergency Kit (Buy on Amazon) has all of the components we’d recommend for a good IFAK. For example, it includes the North America Rescue (NAR) brand chest seal, tourniquet, and burn dressing. Additionally it contains an Israeli pressure bandage – which are what we consider essentials for a trauma kit. It also includes the QuikClot product – for stopping bleeding. The pouch itself is compatible with MOLLE webbing – which means it’ll be easy to mount this on a battle belt, plate carrier, or rucksack. The pouch has a hook and loop (aka velcro) area where you can affix a patch to clearly identify this as an IFAK or medical kit. It also has a drawstring cording platform that holds the pouch open at a 90-degree angle for easy access. This is a pretty complete kit, and the reviews are good. The next step up from Lightning X is the Lightning X Products Premium Nylon MOLLE Emergency Kit (Buy on Amazon). 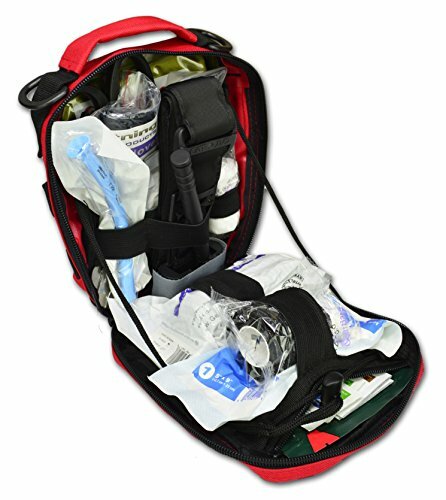 This kit is even larger and contains a more complete collection for first aid and trauma kit needs. 2″, 3″, and 4″ Conforming Stretch Roll Gauze. 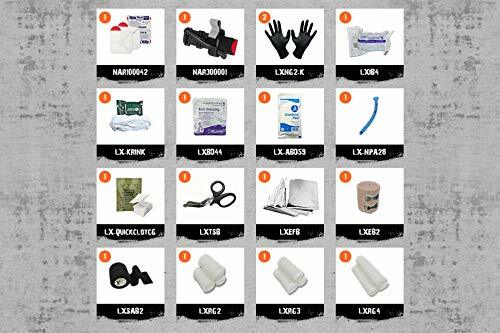 If you want spares, or additional items for your IFAK, check out these. Having two tourniquets in easy reach is a good plan, in case one malfunctions. And in some cases, it is advised to have two of certain critical items – such as chest seals for entry and exit wounds. STOP BLEEDING FAST: Control bleeding with QuikClot, the hemostatic gauze that works on contact with blood to stop bleeding five times faster. The gauze is impregnated with kaolin, a naturally occurring mineral that accelerates your body's natural clotting process. TRUSTED BY PROFESSIONALS: Choose the hemostatic agent that is recommended by TCCC (Tactical Combat Casualty Care) guidelines for use by all 5 branches of the US military. QuikClot has proven its effectiveness over years of combat use by the US military. SAFE & EFFECTIVE: Apply QuikClot Gauze without fear. Kaolin is an inert, non-allergen mineral demonstrated to be an effective clotting agent that contains no botanicals and no animal or human proteins. EASY TO USE & REMOVE: Act quickly and with confidence in emergencies. 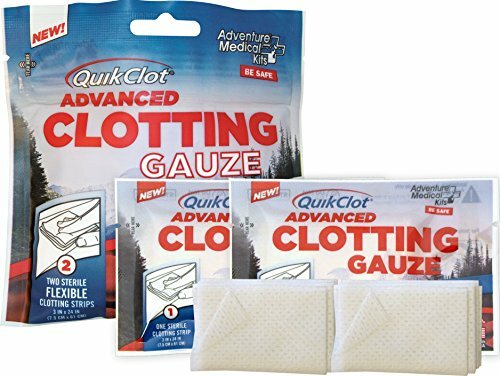 QuikClot Clotting Gauze easily conforms to wounds - simply apply the gauze to the source of the bleeding and apply pressure. The gauze is easy to remove from the wound for further treatment by medical professionals. PORTABLE, CONVENIENT 2-PACK: Be prepared to stop bleeding wherever you go. This lightweight, extremely compact package contains two strips of QuikClot gauze (3" x 24"). Add QuikClot to your trauma kit, glove box, emergency medical kit, range bag, first responder kit, purse, or first aid kit. 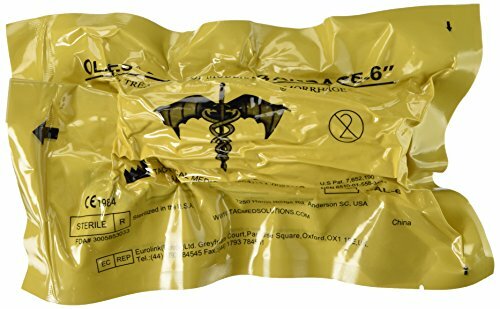 The QuikClot Advanced Clotting Gauze with Kaolin (Buy on Amazon) is the hemostatic gauze in use by all 5 branches of the US military. These are used along with direct pressure to stop bleeding up to 5 times faster than regular gauze. In some cases more than one gauze may be needed, so ensure your IFAK is appropriately stocked. Official Tourniquet of the U.S. Army. Dimensions: Packaged: L 6.5 in. x W 2.4 in. x D 1.5 in. Open Length: 37.5 in. Weight: 2.7 oz. U.S. Patent Nos. 7,842,067 and 7,892,253. 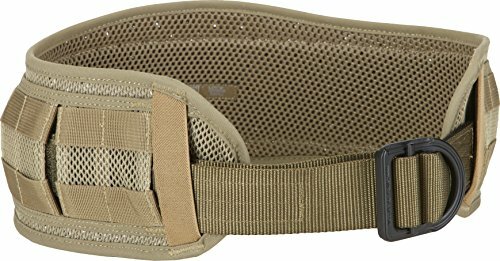 The CAT Combat Application Tourniquet - GEN 7 (Buy on Amazon) is the tourniquet used in the US Army IFAK. This is a one handed tourniquet – made for individual use. The Israeli Bandage Battle Dressing First Aid Compression Bandage (Buy on Amazon) is the type of compression bandage preferred by most. The bandage has a pressure bar built in. This can be used to more easily apply the bandage, but more importantly it can be used to twist the bandage around the wound once, and then change the direction of the bandage, wrapping it around the limb or body part, to create pressure on the wound. Here’s another item you should consider, the Tac Med Solutions Olaes Modular Bandage (Buy on Amazon). This is a do-it-all multi-purpose bandage that includes a pressure cup. Many are considering this to be the successor to the Israeli bandage. It has the same pad as an Israeli Bandage, but can be unpacked for stuffing an open wound like gauze. It also comes with a plastic pressure cup to place directly over a wound to serve as a pressure bandage for arterial bleeds. The packaging material can be used to seal sucking chest wounds. 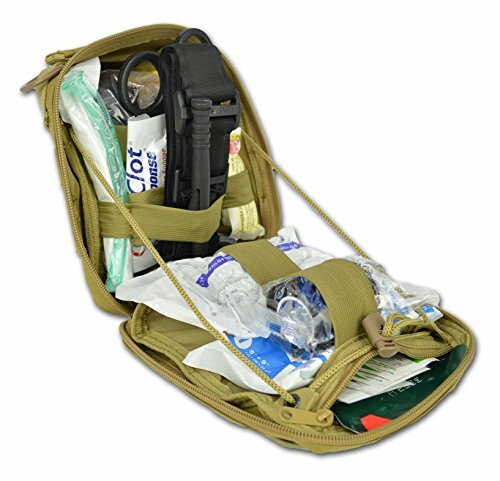 What is a Tear Away IFAK or Rip-Away medical kit? You may also hear of a tear away blowout kit or rip-away medical kit. It’s an IFAK that can be quickly disconnected – and given to whomever needs it. The base of a “tear away” IFAK is usually hook and loop (aka Velcro). The IFAK pouch has the hook, and the base has the loop. The base is normally MOLLE attached to a plate carrier, war belt, or chest rig. 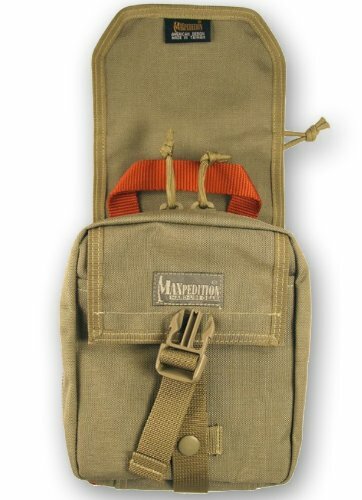 The Maxpedition F.I.G.H.T Medical Pouch (Buy on Amazon) is a good example of a tear away medical pouch. 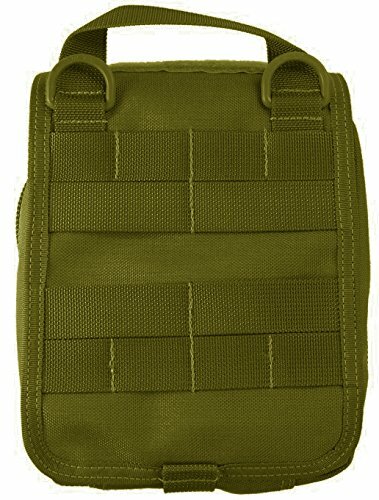 This is a MOLLE Compatible tear-away pouch so it can be pulled away from its MOLLE-compatible base. The idea being to allow for quick removal, especially if the casualty is wearing it. And here’s the back – you can see the MOLLE that you can use to attach to anything with MOLLE webbing. Maxpedition makes top quality gear – check the reviews. You can find far cheaper tear-away pouches – but do you really want to cut corners on your IFAK? By the way, for attaching that MOLLE – we’d recommend the Tactical Tailor Fight Light Malice Clips (4 packs) (Buy on Amazon). 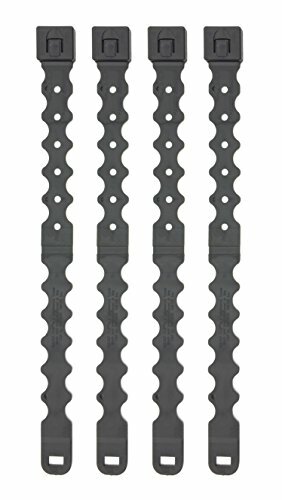 These provide a super-secure MOLLE connection. Once attached, they require a tool – like a screwdriver, knife blade, or car keys to disconnect. The “Fight Light” line are the lightest weight gear made by Tactical Tailor – but in this case we don’t care so much about the weight savings – but these minimalist MOLLE clips are much easier to weave through webbing, as compared to the regular Malice clips. Here’s one more tear-away option for your IFAK. The Rothco Drop Leg Medical Pouch (Buy on Amazon) lets you carry your IFAK out of the way, and still provide for easy tear-away if needed. 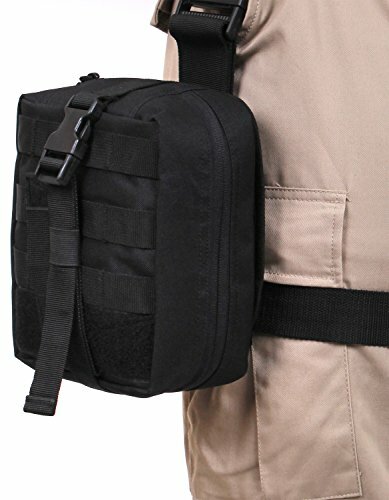 Use this pouch with a riggers belt, web belt, or war belt. IFAKs can be mounted in a variety of places, thanks to MOLLE. They can go on a web belt, battle belt/war belt, plate carrier, etc. Check with your unit’s or team’s SOPs – but the general recommendation is your first line IFAK should be reachable by you – for self application of medical aid. A second line IFAK should be on your plate carrier or war belt on the back for access by the team medic, corpsman or other personnel. Lastly, consider if you should keep a NAR CAT tourniquet within immediate reach – maybe by using a dedicated MOLLE tourniquet holder. This is often a need for LEOs. An IFAK – Individual First Aid Kit – is a basic piece of gear everyone should have. There’s a wide variety of useful items you can carry in an IFAK – ranging from basic first aid, to serious live-saving trauma gear. We recommend every serious Bug Out Bag or Get Home Bag have an IFAK. You may also want to look at Battle Belts and MOLLE Clips. What is Z-Medica’s QuikClot Hemostatic Agent?